This guide provides information on how to adjust the Chrome browser settings on a ChromeBook. The Google Chrome browser is an integral part of the Chromebook experience. Mastering how to use the Chrome browser will make you a Chromebook power user. Below are some Chromebook tips on adjusting the browser in ChromeOS. You can make ChromeOS as customized as you would like! You can make many changes to the browser in ChromeOS. It is also very easy to switch back to default settings. Google Chrome has an option that will reset itself to its default settings. To find this option, click the menu button (three horizontal lines) in the upper-right corner of thebrowser window and select “Settings”. Start typing “reset settings” in the search box of your Chromebook to get the the reset menu. Adjust the Download settings in Chrome You can choose a location on your computer where downloads should be saved by default or pick a specific destination for each download. Manage the Autofill settings -Tired of filling out web forms with the same information time and time again? Autofill lets you complete forms with just one click. Adjust the keyboard settings on a Chromebook – If there’s more than one standard way to type in your language, you’ll want to make sure you choose the keyboard input method that works best for you. By adjusting your keyboard input method, you can also add accent marks, insert currency symbols, and use other special characters. You’ll also be able to specify multiple language preferences in order to type in multiple languages. Once you’ve set your preferences, you can easily switch between languages for your keyboard via the status area. Enable/disable App notifications in ChromeOS – You can enable notifications for your apps so you know when you have a new message. For example, if you enable chat notifications for Gmail and are using a different browser window, you’ll still know when someone wants to talk to you. Set or change the Date and Time – To set the date, time, time zone, or to use a 24-hour clock, use the Settings menu. Adobe Flash Player functionality – Adobe Flash Player is directly integrated with Google Chrome and enabled by default. Available updates for Adobe Flash Player are automatically included in Chrome system updates. Turn on/off accessibility features on a Chromebook – If you’re visually impaired or have trouble typing, you can make your Chromebook screen easier to see, have web pages read out loud, and make your keyboard easier to use. Adjust the text, image and video sizes – You can adjust the size of everything on the webpages you visit, including text, images, and videos. Manage the cookies and site data – You have control when it comes to cookie permissions in Google Chrome. All cookies are allowed by default, but you can adjust this setting. If cookies have been set or blocked on the page you’re viewing, an icon appears at the end of the address bar. Clear the Chrome browser cache and cookies – You can delete all or some of your Chrome browsing history. If you’re signed in to Chrome on multiple computers or devices, deleting your browsing history will take effect on all other devices. Adjust the usage and statistics/crash reports setting – Reports are created and sent whenever a system or browser process doesn’t work as expected. Once you’ve set up your Chromebook, you can choose to update this setting at anytime via the Settings page. Adjust the Phishing and malware alerts setting – Google Chrome warns you if the site you’re trying to visit is suspected of phishing or malware, using Google’s Safe Browsing technology. Adjust the Location sharing setting – You can allow some sites you visit to use your location information to make the information they show you more useful. For example, if you share your location with a site that specializes in restaurant reviews, the site can fine-tune its display and show reviews for restaurants near you. You have control over whether you share your location with sites. Reset the Chrome browser settings in ChromeOS – Google Chrome gives you the option to reset your browser settings in one easy click. In some cases, programs that you install can change your Chrome settings without your knowledge. You may see additional extensions and toolbars or a different search engine. Resetting your browser settings will reset the unwanted changes caused by installing other programs. However, your saved bookmarks and passwords will not be cleared or changed. 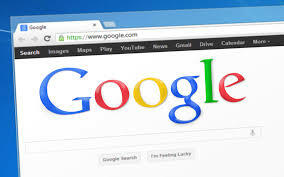 Privacy settings that are available – Some Google Chrome settings use your browsing information to improve your web experience. For example, Chrome can use your browsing history to help it complete search phrases you type. These settings are turned on by default. You can turn them off whenever you want. Adjust the settings for the types of handlers – Chrome allows web services to ask if you’d like to use them to open certain links. While most links generally take you to another page, some links can open programs and perform other actions. For example, mailto: links can open your email program and webcal: links can add events to your calendar program. These links are referred to as protocols and the programs they use are called handlers. Many web services these days, including Gmail and Google Calendar, can act as handlers. Adjust the settings for managing pop-ups on Chromebooks – Google Chrome prevents pop-ups from automatically appearing and cluttering your screen. If pop-ups are blocked on a site, the address bar will show a pop-up blocker icon . You can block or allow some pop-ups manually. Adjust the setting for the Chrome prediction service – When you type in the address bar, Google Chrome can use a prediction service to help you complete the web addresses and search terms that you’re entering. Adjust the settings to manage your website passwords – Google Chrome can save your usernames and passwords for different websites. When you save a username and password Chrome can then automatically complete the sign-in fields for you the next time you visit these websites. Bookmark a webpage – Save the webpages you’d like to revisit by creating bookmarks. Manage your Bookmarks – You can delete a bookmark, or multiple bookmarks at once. Keep in mind that deleted bookmarks cannot be recovered. Perform a keyword search/find within a web page -Use the find bar to locate a specific word or phrase on a webpage. The following steps apply to Google Chrome on Windows, Mac, Linux, and Chrome OS. Explore and demonstrate the ways in which you can use your Chromebook Offline – Your Chromebook was designed to help you get things done faster and easier. You’ll be able to access your files with secure, built-in cloud connectivity, as well as use powerful web apps to create documents, edit photos, and listen to music. For those rare times when you aren’t connected to the web, there are a variety of tasks you can still do with your Chromebook.